The 2014 Cheltenham Festival kicks off on Tuesday March 11 and with it comes four day of punting madness. The feature race on the Thursday is the World Hurdle and this year’s race is shaping up to be a cracker. This is a battle of the sexes that has the ability to light up the Cheltenham Festival. Annie Power, the hotshot mare who has taken the hurdling scene by storm this season, takes on the four-time champion Big Buck’s whose age makes him very vulnerable against such a classy up and comer. If you feel that Big Buck’s can win his fifth World Hurdle regardless of whether Annie Power can power ahead or not, you might be better off waiting for an improved price on the day as the strength of money behind the Irish raider in the last week has been frightening. It’s only going to get stronger as we approach the race too. Having been as big as 4/1 a couple of weeks ago, Annie Power is now as short as 7/4 in places. Big Buck’s lost out in the Cleeve Hurdle with Sam Twiston-Davies riding him for the first, losing his unbeaten run of winning all 18 of his last races. It was interesting to hear Ruby Walsh’s thoughts on Big Buck’s comeback considering he’s the man that has sat on him for most of his previous wins. He said he thought was as good as ever and that he doesn’t flourish on heavy ground, hence why he was beaten. Paul Nicholls is a dab hand at looking after ageing stayers, especially considering Big Buck’s barely broke out in a sweat in his last 18 defeats. 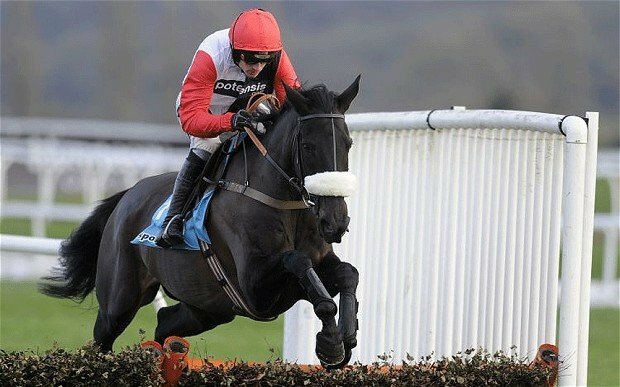 He will be in good company as he will be the same age as when Kauto Star won the King George, Neptune Collonges when he won the Grand National, Tidal Bay when he won the Bet365 Gold Cup and Lexus Chase and Denman when he came second in the Gold Cup. Annie Power will be a massive challenge for the great champion. If anyone has the ability to beat Big Buck’s in his own back yard it it will be her. Even if Big Buck’s improves 10lb on his Cleeve run, a thought that many people are predicting, Annie Power might still have too much for him in receipt of 7lb anyway. Few Mares run in the World Hurdle, Mysilv was a runner up and Rose Ravine in 1985 and Shuil Ar Aghaidh have been successful with a 5lb allowance. Annie Power’s 7lb pull is going to be key.